MOORHEAD, Minn. – Through the Direct Your Dollars™ program, the Moorhead Area Public Schools’ Adaptability and Productivity Lab Project recently received a $1,000 donation from SpartanNash. Direct Your Dollars is offered at more than 150 SpartanNash-owned stores in nine states – including all four Family Fare Supermarkets in Fargo, West Fargo and Moorhead – and gives store guests a way to support their favorite local charities, schools and nonprofit organizations. Moorhead Family Fare Store Director Mary Holtz presented the $1,000 check to Moorhead Schools Occupational Therapist and Special Education Teacher Kevin Anderson on behalf of SpartanNash and the Direct Your Dollars program. The money will be used to support the Adaptability and Productivity Lab Project. Moorhead Family Fare Store Director Mary Holtz presents a $1,000 check to Arhaun Ahmed on behalf of SpartanNash and the Direct Your Dollars™ program. 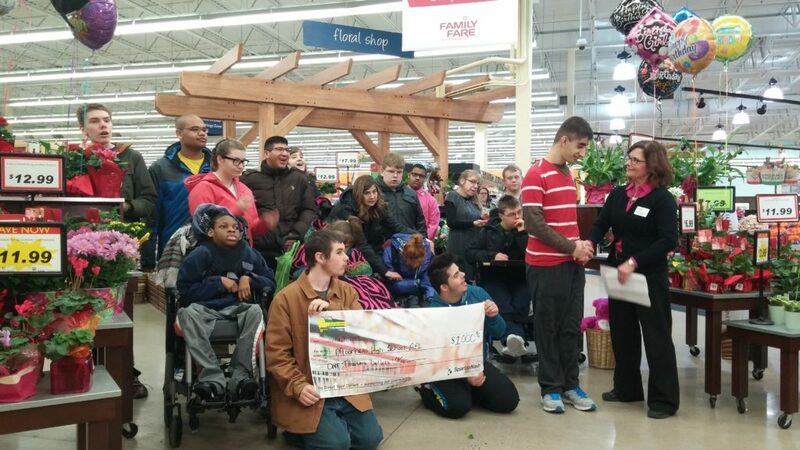 Ahmed, a Moorhead High School student who participates in the Adaptability and Productivity Lab Project, collected $150,000 in Family Fare Supermarkets receipts, which he redeemed for the $1,000 donation through the DYD program. The APL Project began in 1998 to address a need for special education students to gain functional life skills through academic instruction. Initially, healthy snacks were sold in the classroom during breaks in the day and eventually moved to the middle school. Today, the APL Project continues in the high school setting where special fundraising projects occur throughout the school year to support student projects for functional life skills training. Arhaun Ahmed, a Moorhead High School student who participates in the APL Project, collected the Family Fare Supermarkets receipts for the DYD program.